As do Mar Tuna - delicioso! As you may have notice, I'm a creature of habit and can enjoy my favorite dishes time and time again. But I noticed that the canned Bumble Bee tuna that I enjoy on the weekends was getting mushy. Even when I purchased the albacore tuna marked premium it could be like baby food. I was looking for a chunky texture. I like my tuna sandwiches on a brioche hero roll with arugala. The can was bigger than your average can. I tasted the oil - it was delicious. It wasn't fishy at all. I transferred the tuna and oil in a bowl. I reserved about a quarter of the can in a separate bowl as I knew it would be too much for one sandwich. I had the tuna in oil the next day with some coarse sea salt and a squeeze of lemon. It was really tasty! 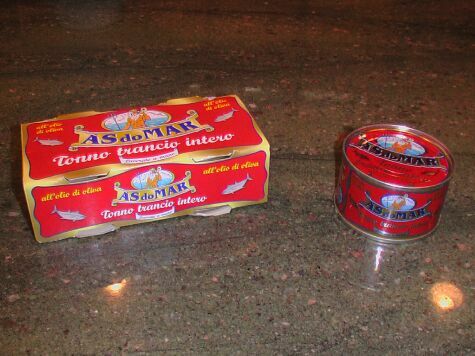 I prepared the tuna as I usually do, but only used a small amount of (fat free) mayonaisse. The next time I may not use mayo at all. I added a small amount of champagne vinegar and a squeeze of lemon, with coarse sea salt and freshly ground pepper. Tuna and peppers with a bruschetta topping. I had a jar of bruschetta topping from a gift basket - I added a few dollops to the top. It was a very strong flavored, richly texture tomato mixture - it was really good on the sandwich. I sprinkled some cayenne pepper on top. I don't think I'll ever buy Bumble Bee tuna again. This sandwich was really flavorful - head and shoulders over the mushy kind. But take note: canned tuna is very high in mercury. You should limit your intake of fish with mercury, especially if you're pregnant. 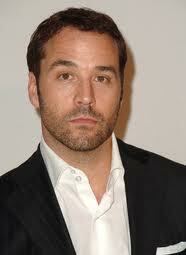 Or Jeremy Piven. He was in the first Broadway revival of the David Mamet play, Speed the Plow, a few years back and he dropped out of the production with virtually no notice, citing excessive exposure to mercury. ﻿ Mamet joked he was leaving the production to pursue a career as a thermometer! Form into sandwich and enjoy! Epicerie Boulud had amazing roated tomato soup which I had on the side.